Just a quick post to let you know that the fantastic Allergy & Free From show returns to London Olympia this week. The show runs from Friday 8th to Sunday 10th July 2016. You can get more info about what’s on and how to get there on the Allergy & Free From Show website. I went last year and had an amazing day. You can see my blog post from last year here. I would definitely recommend popping by and the best news is that you can still get FREE tickets by following the link below. Tickets sold on the door will cost £10, so don’t forget to get yours now. 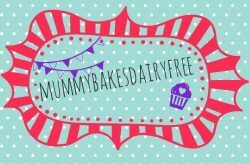 http://www.allergyshow.co.uk/go/bakeddairyfreeThis year I am attending on the Saturday morning and would love to say hi, so give me shout if you’re there!